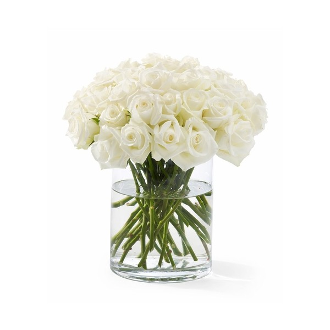 Pure White Rose Design in a beautiful cube clear vase. Flower Delivery from Royal Florist in LA. By clicking the "Upgrade Roses" option, you can add roses to your design. Prices will vary.